The access arm is being readied for installation in early 2018. It will be installed 70 feet higher than the former space shuttle access arm on the launch pad’s Fixed Service Structure. SpaceX continues to modify the historic launch site from its former space shuttle days, removing more than 500,000 pounds of steel from the pad structure, including the Rotating Service Structure that was once used for accessing the payload bay of the shuttle. SpaceX also is using the modernized site to launch commercial payloads, as well as cargo resupply missions to and from the International Space Station for NASA. The first SpaceX launch from the historic Apollo and space shuttle site was this past February. NASA’s Commercial Crew Program is working with private companies, Boeing and SpaceX, with a goal of once again flying people to and from the International Space Station, launching from the United States. Boeing is building the CST-100 Starliner to launch on an United Launch Alliance Atlas V rocket from Space Launch Complex 41. 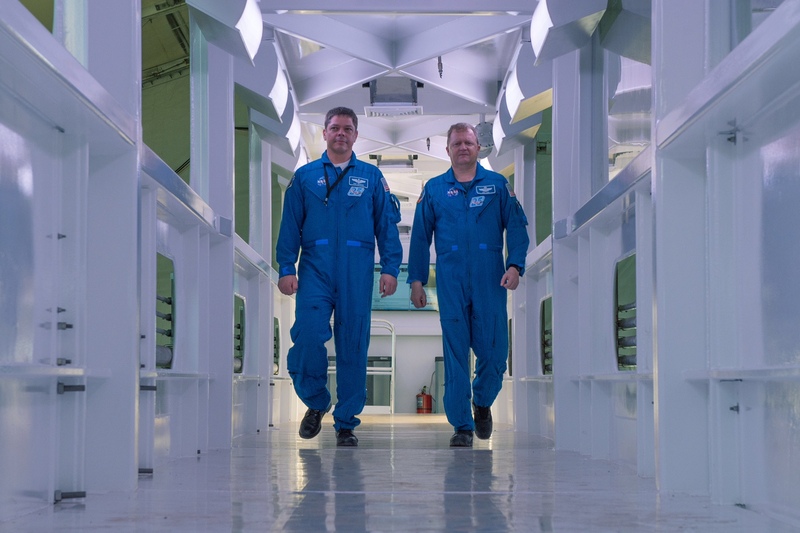 For information on Boeing and ULA’s work on Space Launch Complex 41, visit: https://www.nasa.gov/feature/crew-access-arm-installed-for-starliner-missions.